In this Q&A, Temple University Press author Dean Bartoli Smith talks about his football fandom, going to Super Bowl XLVII, and his new book, Never Easy, Never Pretty: A Fan, A City, A Championship Season. Q: In the first chapter of Never Easy, Never Pretty you write about your love affair with football, and how it began in 1970, when you were 7. Your father took you to a Colts practice game. What was it that sparked your interest in the game/team? DBS: I was immersed in Baltimore Colts football as an infant rolling around on the carpet as the game unfolded on a black-and-white television in the late 1960s. I learned about the team in books like Great Moments in the NFL as soon as I could read. My fandom was sealed when I received a Colts helmet as a gift. I wore that blue horseshoe against a pure white background everywhere. My relatives told stories around the dinner table about the football exploits of Johnny Unitas, Raymond Berry, Mike Curtis, and Bubba Smith. I couldn’t believe I was going to meet them in person at a practice game. Carrying Unitas’ shoulder pads after practice changed my life. Q: The book has an interesting structure—while it is a game-by-game analysis of the Raven’s 2012 Championship Season, it is also a history of the team, and a memoir of sorts. How did you conceive of the narrative? DBS: The season dictated the narrative structure; the games themselves provided a crude outline. The writing was very much like a playing in a football game. I needed to drive the narrative down the field, find the open holes and pass to the open receivers. In the first three games, the team experienced the loss of Art Modell and Torrey Smith’s brother and played one-point games against the Eagles and Patriots—nothing was going to be easy. The Ravens set the tone early on that overcoming loss was going to be a major theme. Then you have three “trench warfare” wins (Browns, Chiefs, and Cowboys) that were brutal slugfests. Ray Lewis and Lardarius Webb go down. In the aftermath of these games was the miraculous Fourth and 29 that hinted at something greater. Then, the team hit rock bottom. They rose up again with the return of Lewis and a stunning victory in Denver. I felt the presence of my departed relatives and even Johnny Unitas on occasion as I wrote. Art Donovan passed away 4 weeks after I spoke with him. His last published interview is in Never Easy, Never Pretty. I visualized the chapter “Blue Horseshoes” about the Colts playoff game first. Everything flowed into that game and from that moment. The playoff games each needed their own chapter; the irony and drama is magnified when more is at stake. Q: You poignantly discuss your experiences of becoming a Ravens fan, despite mixed feelings Can you describe the emotional journey you felt as a fan during these moments? DBS: I remember camping in the Everglades during college and almost getting into a fistfight with someone about the Colts leaving. It was the spring of 1984, just after the move. The Redskins were good back then but I couldn’t bring myself to cheer for them. I felt groundless and numb to the NFL but the New York Giants brought me back in 1986. I thought about my family and those who loved the Colts and passed away before an NFL team returned. My football journey became an extension of my dad’s. It had taken my father awhile to embrace them and when I saw him wearing a Ray Lewis jersey, I knew it was time to commit. Q: You frequently mention putting on your #82 Torrey Smith Jersey. Why did you select this player? Q: You wax poetically about the passion you’ve seen in the city for Ravens—from Purple Fridays to deafening sounds of the stadium. Why do you think the Ravens engender such rabid enthusiasm? DBS: This is a tight-knit football town. It’s a gritty pit-bull mix of a city with a chip on its shoulder. The city’s demeanor rests on the outcome of every Ravens game. Baltimore didn’t have football for 12 years and is making up for it with a ceaseless passion for the purple and black. The Ravens organization is first-rate and people respond to that. The team exemplifies the blue collar values that permeated Baltimore in the 50s and 60s—when it was a city that made things. I remember hearing the Cincinnati Bengal announcers in 2011 talk about how they’d never seen so many fans in team jerseys as they did in Baltimore. Fans follow the Ravens like it was their high school team. The players are part of an extended family, the way it was with the Colts. Q: How did looking at the Ravens’ 2012 season with 20/20 hindsight help you write Never Easy, Never Pretty? DBS: I didn’t set out to write a book at the beginning of the season. It grew organically out of the columns I wrote. I had witnessed an extraordinary series of events and wanted to do something on a larger scale that would withstand the test of time and be a book that my son and daughter could refer back to 25 years from now. Q: The 2012 season was, as many folks have indicated, an emotional rollercoaster. How would you describe watching the team win amid tragedies? This feeling gives your book its title, Never Easy, Never Pretty. Why is this phrase so apt for the Ravens? Q: You pepper your book with quotes from broadcasters, players, even observations by and about management. Why did you decide to provide this added dimension to the narrative? DBS: I wanted to give fans a variety of perspectives to recreate the game experience. I interspersed the sights, sounds and smells of the stadium. Football is about the weather, the concessions, the cheers, the introductions, the fans and the pre-game talk shows. It’s also about the people upstairs who put the pieces in place—Ozzie Newsome, Kevin Byrne, John Harbaugh and Steve Bisciotti. 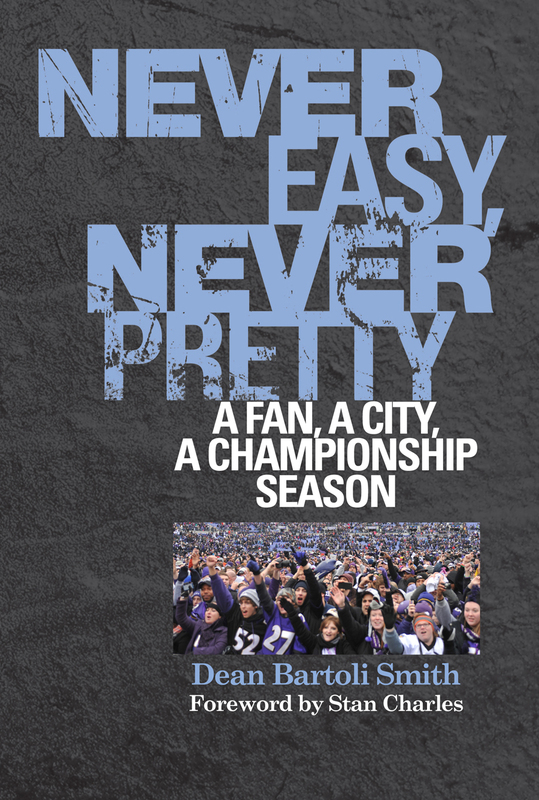 I wanted Never Easy, Never Pretty to be a different kind of sports book—one that included memoir, play-by-play, commentary, reportage, historical context and quotations written by a fan for both the diehard Ravens fan and the casual observer. Q: Of course no story of the 2012 Ravens would be complete without the famous Fourth and 29, the game saving first down, or the Mile High Miracle. How do you think these highlights compare in Ravens’/Colts’ history and/or football history writ large? DBS: “Fourth and 29” became a mantra for how the team approached the game of football. The play itself gave a glimpse into what the Ravens were capable from a will standpoint. They willed themselves to a Super Bowl victory. The play will be remembered for decades by every Baltimore fan that followed the team in 2012 and future generations of fans. The Mile High Miracle was the “shot heard around the world.” It was perhaps the most incomprehensible moment in a season full of improbable twists. It was the denouement, the point of rising action that crystallized a Super Bowl champion—and it never should have happened. It’s easily the greatest play in Ravens’ history. It paved the way for David embodied by Ray Lewis to take down Peyton Manning’s Goliath. Q: What can you say about the photographs in the book? DBS: The photos capture many of the key moments of the season. Ravens photographer, Phil Hoffmann also provides some interesting anecdotes in the book. He’s an amazing artist who told me that he approaches his job like a defender anticipating the next play. He was able to catch every amazing moment. Q: You recount attending Super Bowl XLVII in New Orleans in the opening chapter. This is something most fans only dream about doing. What can you say about the experience, other than the Ravens won? DBS: The Super Bowl was the most intense sporting event I have ever witnessed. I made a last-minute decision to go and didn’t believe I would make it there until I was in my seat. I had reached a point after the Denver game when I needed to follow this team all the way to the end. I had finally become part of the Super Bowl tradition. All of those faded highlight reels of past gridiron championships flickered in my mind with the voice of John Facenda as I traveled to New Orleans. The tension inside the Superdome was palpable. It’s a “winner take all” atmosphere and as a fan you don’t want to come this far and lose. Every play was magnified. My faith had waivered during the season and I wanted to see it all the way through. The first five minutes of the game were incredible as the Ravens scored quickly. I lost my voice in the first quarter and met some great fans from Baltimore. We stuck together. I never trusted our lead and wanted the Beyonce halftime show to end to get back to the game. The blackout wasn’t scary, just another distraction and then the 49ers sprang to life and roared back with a vengeance. They mowed us down and my worst fears were realized. The Ravens’ goal line stand was the only way for the game, the season, and Ray Lewis’ career to end. I’m still running through the plays in my mind and wondering to this day how the 49ers didn’t score. 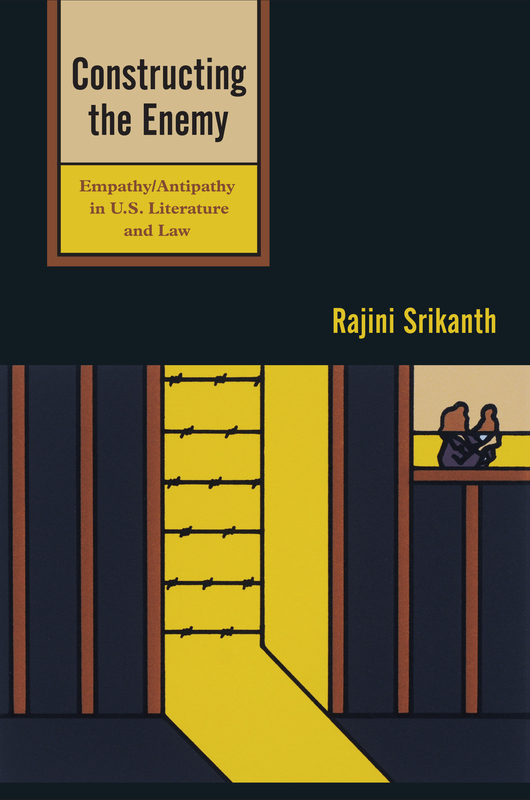 This week in North Philly Notes, Rajini Srikanth, author of Constructing the Enemy, wonders: What if each of us could imagine being a detainee at Guantánamo Bay? In June 2004, a Supreme Court ruling gave lawyers access for the first time to the detainees at Guantánamo Bay since their capture in 2002. The over 700 Muslim men being held there, who had until this ruling been denied the right to any legal challenge of their detention, were thrust into the consciousness of our country as possessing voice, as being human. This outcome was the result of a case filed by the Center for Constitutional Rights (CCR), which at the time of the original filing in 2002 had received hate mail and death threats for upholding one of the most fundamental rights of Western law and of the U.S. Constitution – the right of every individual to challenge one’s detention in court and to ask why one is being held. The Supreme Court ruled (6 to 3) that Guantánamo Bay was for all practical purposes under the control of the United States (though owned technically by Cuba) and so the detainees being held there had habeas corpus rights and could challenge their detention in court. This reaffirmation of a basic and fundamental legal right prompted hundreds of lawyers, many from the private bar, to come forward to offer their services pro bono to represent the detainees against what they considered to be the Bush administration’s egregious violation of the U.S. Constitution and disregard for the rule of law. The Center for Constitutional Rights in New York became the nerve center for these lawyers, and the long and arduous process of detainee representation began. Due almost entirely to the efforts of the lawyers, the detainee population, at its height over 700 men, has been reduced to 166 (at last count). Among the remaining detainees, there are more than 50% who have been cleared for release because they are deemed to pose no threat to the United States, but these men are still confined, caught in a bizarre and nightmarish situation in which their life is akin to death – forgotten by the citizens of the very country that holds them in confinement and condemned by the elected representatives of this country not to be released. We use their incarceration to feed our need for a false sense of security; their indefinite detention (since 2002) stands as evidence of our ability to control what we see as a world that is unpredictable and unknowable. It is no wonder that 103 detainees are currently on hunger strike; 41 of them are being force-fed. Who could live day after day knowing that one is confined without cause, knowing that there is no process by which one can expect to be released, because the Congress and the people of the country that holds them have abdicated their moral responsibility and tossed aside their ability to think rationally? Three years ago, as part of my research for Constructing the Enemy, I interviewed several lawyers who were working on behalf of various detainees at Guantánamo Bay. One of them remarked that the lawyers’ intervention was crucial, because the American people seemed not to care: “we are holding the legal line until the politics kick in,” he said. But the politics have still not kicked in. In fact, if anything, despite President Obama’s declarations that he wishes to close the Guantánamo Bay facility because it stands as evidence of our egregious disregard for basic human rights and seriously besmirches our reputation as a nation based on the rule of law, we the people and our Congress refuse to acknowledge our complicity in the cruel and inhumane confinement of people who are no more guilty than you or I, even by the military’s own reckoning. Law professor Mark Denbeaux and journalist and film director Andy Worthington have carefully and meticulously documented that the detainees were picked up under the most problematic circumstances – leaflets were dropped from the sky in Afghanistan and Pakistan during the early months of 2002 with promises of large amounts of money if people turned in “the foreigners” among them. Afghanis and Pakistanis responded to this allure of quick money, and hundreds of innocent and unsuspecting travelers from Yemen, Saudi Arabia, Iran, and China were handed over to the U. S. military as Al-Qaeda affiliates. One lawyer remarked that we filled Guantánamo Bay through good old-fashioned capitalist rhetoric. Northeastern University law professor Mike Meltsner’s play, In Our Name: A Play of the Torture Years, includes a scene that reveals the hollowness of our democratic fabric and the entire absence of integrity and rational thought. A reporter asks a citizen if he is worried that water boarding is torture. The citizen responds, “Not if the guy is a terrorist.” The reporter counters, “But how do we know who is a terrorist?” The citizen answers, “He wouldn’t be water boarded if he wasn’t” (71-72). My students almost always gasp at the circularity of the argument; how can a person with even a modicum of analytical sense come to such a conclusion, they wonder. And yet, through our virtual silence about the unlawful indefinite detentions at Guantánamo Bay, we are complicit in assuming that simply because someone is a detainee there, he must be a terrorist. It would appear that Attorney Marc Falkoff, who collected and published poems written by the detainees (Poems from Guantánamo : The Detainees Speak) in an effort to stimulate empathy for them among the public, was unduly optimistic. The truth is that most Americans don’t really care about the detainees, and many most likely believe that they are the unfortunate but necessary “collateral damage” of the times in which we live. But we are all responsible for these 166 men. Our fear and paranoia put them there, and our fear and paranoia keep them there. Some of them likely pose a threat to the nation, but most of them do not: this latter group has, in fact, been cleared for release. So why are they there? It’s easy to blame the Congress for stoking the public’s fears that should these detainees be released to their home countries or elsewhere, they will begin a campaign of terror against the United States. But it’s not just Congress that is to blame. We are deeply at fault as a people. We are unwilling or unable to imagine these men as individuals like us. But what if we were the ones at Guantánamo Bay? What if we had simply been in the wrong place and the wrong time? What if we were never going to see our families? What if all we had before us was the prospect of years and years of such an existence? The lawyers I interviewed were not at the outset motivated by empathy for the detainees. Their initial zeal came from their desire to uphold the U.S. Constitution or perhaps to take on the biggest legal challenge of their careers. But each of these lawyers quickly came to realize that the detainees are sons and fathers and brothers with desires and aspirations identical to ours; they have developed deep admiration for the detainees’ fortitude. The lawyers speak of never giving up in the fight to seek their clients’ release. Some have testified before Congress, some have written newspaper editorials. The lawyers have met the detainees personally, an opportunity that the rest of us will not have. But are we so emotionally impoverished or so imaginatively constrained that we cannot envision the absolute despair and unending bleakness of unjust and indefinite detention? What is the point of being a member of a democracy if we do not exercise our capacity for independent thought? At the very least, we should write our congressmen and congresswomen and ask them to close down Guantánamo Bay, to release those who have been cleared for release, and to try in our courts those who might pose a threat. It is our minimum obligation as citizens of a democracy. This week in North Philly Notes, Charles Horton Cooley Award committee chair Leslie Irvine honors Nancy Berns and her award-winning book, Closure. The Charles Horton Cooley Award is given annually to an author for a book that represents an important contribution to the perspective of symbolic interaction. This year’s Award committee members were Joel Best, Michael Flaherty, and Leslie Irvine. The committee had the privilege of considering a number of books, attesting to the productivity and creativity of scholars working in the interactionist perspective. The book we chose to receive the 2013 Cooley Award is Closure: The Rush to End Grief and What It Costs Us, written by Nancy Berns and published by Temple University Press. 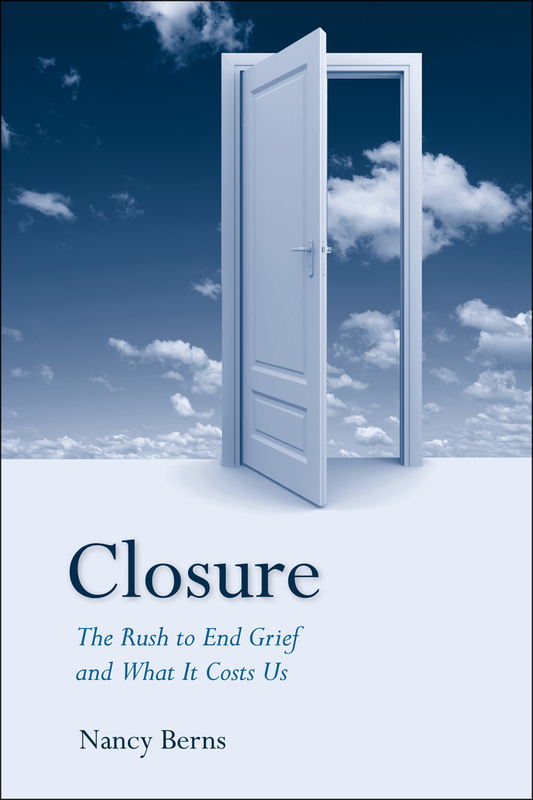 In this carefully researched and beautifully written book, Nancy Berns examines how the term “closure” has come to represent a new emotional state regarded as the appropriate end to grief, loss, and trauma. We hear about the need for closure after school shootings, natural disasters, divorces, and deaths. Although the term is widely used, no one can truly define it. Nor can they agree on how to reach it. People seek closure through an endless list of strategies that includes witnessing executions, planting trees, writing letters, burning letters, and getting tattoos. Drawing on documentary evidence from print and online media, court cases, autobiographies, and other sources, Nancy examines how the idea of closure became a popular concern. She reveals that although the term has origins in psychology dating back to the 1920s, it gained traction in popular culture during the 1990s largely through the influence of therapeutic techniques and victims’ rights discourses. In her analysis, Nancy combines insights from the sociology of emotions and the social construction of social problems. By shedding new light on how social forces shape our understanding of emotions, Closure will be a resource for interactionists for many years to come. The Charles Horton Cooley Award Committee is pleased to give the 2013 award to Nancy Berns. In this blog entry, reposted from PhiladelphiaEagles.com, Ray Didinger, co-author of The Eagles Encyclopedia, remembers Jerry Wolford, the former Eagles owner who passed on August 6. That’s what Jerry Wolman would say to anyone who called him “Mr. Wolman.” It didn’t matter if it was a player, an office worker, a reporter or a fan. Anyone who approached the former Eagles owner was told, “Call me Jerry.” He was a rich guy who never acted rich. Wolman, who died Tuesday at the age of 86, bought the Eagles for $5.5 million in December, 1963. He owned the team for just five years before selling to Leonard Tose in March, 1969. Wolman did not want to sell – indeed, he said it was the biggest disappointment of his life – but he had no choice. A series of financial setbacks left him staring at bankruptcy. It was a sad ending to a rags-to-riches, only-in-America success story. As a boy, Wolman hitchhiked 100 miles from his home in Shenandoah in upstate Pennsylvania to watch the Eagles play. He was a high school dropout who worked in his father’s fruit business and through sheer hustle and persistence built a successful career in real estate and construction. At his first Training Camp, Wolman ran around the practice field in Hershey, Pa., in an Eagles T-shirt and low-cut football shoes, catching passes with the receivers. He shagged punts, jogged laps with the coaches and shook the hands of every fan who came to watch. Wolman was a gregarious guy who always seemed to have a smile on his face. Well, almost always. One day the Eagles scrimmaged the Washington Redskins in Hershey and some Redskins fans were heckling the Eagles. Wolman came down from the press box and dove into the crowd to take on the hecklers. Wolman was outnumbered, but he didn’t care. He was still throwing punches – and taking his share – when the Eagles coaches rushed in to save him. An NFL owner would get fined for that today. But in Philadelphia, it would make him a folk hero. A personal memory: My father, mother and I went to Hershey every summer to watch the Eagles practice. In 1964, Wolman’s first year as owner, we were in the lounge at the Cocoa Inn one evening watching the College All-Star Game on TV. The room was packed and Wolman came in with several coaches. The Eagles had two draft picks in the game – tackle Bob Brown and quarterback Jack Concannon – and Wolman wanted to see them in action. Wolman went around the room and said hello to everyone. He stayed until halftime and shortly after he left, a man came in with a stack of pizzas. He put one on every table and said, “Compliments of Mr. Wolman.” I mean, who wouldn’t love a guy like that? Wolman was all boyish enthusiasm – he once referred to himself as “a babe in the woods” – and while there was a charm to it, it also got him in trouble. The worst example was his decision to sign Joe Kuharich to a 15-year contract as coach and general manager on the basis of a 6-8 finish in 1964. Wolman saw it as such an improvement over the 2-10-2 record of the previous year that he felt Kuharich merited the longest and largest ($900,000) contract in professional sports. It proved to be a disaster. The Eagles had only one winning season under Kuharich – a 9-5 finish in 1966 – and by 1968 they were in free fall and the fans were screaming “Joe Must Go.” Wolman’s financial empire was collapsing at the same time. Construction delays stalled his biggest project – the $50 million John Hancock Center in Chicago – and he ran out of time and money. He had other holdings including the Spectrum and Yellow Cab, but it was not enough to offset the crushing losses in Chicago. Wolman made frantic attempts to secure loans from various banks, but it was no use. The only way he could stave off bankruptcy was to sell his most valuable asset, the Philadelphia Eagles. On March 1, 1969, he met with Leonard Tose and after 14 hours huddling with the lawyers, the deal was done. Wolman sold the team to Tose for $16.1 million. The love Wolman felt for his football team never died. In January, 1981, when the Eagles went to their first Super Bowl, Wolman, who was then back on his feet financially, attended the game wearing Eagles green. He was interviewed at the game by Bill Fidati of the Philadelphia Bulletin. “Philadelphia is still my favorite city,” said Wolman, who was then living in Bethesda, Md. “I would think that some day I will try to get back. Though I’m not involved in football or the city, I still feel a part of them. I’m happy about the accomplishments I had while in Philadelphia. I did have the Eagles, I helped bring the Flyers there and had the Spectrum built. “What do I miss about the city? An award-winning writer and producer, Ray Didinger was inducted into the Pro Football Hall of Fame in 1995. He has also won six Emmy Awards for his work as a writer and producer at NFL Films. The five-time Pennsylvania Sportswriter of the Year is a writer and analyst for Comcast SportsNet. Didinger will provide Eagles fans a unique historical perspective on the team throughout the season for PhiladelphiaEagles.com. You can read all of his Eagles History pieces here. 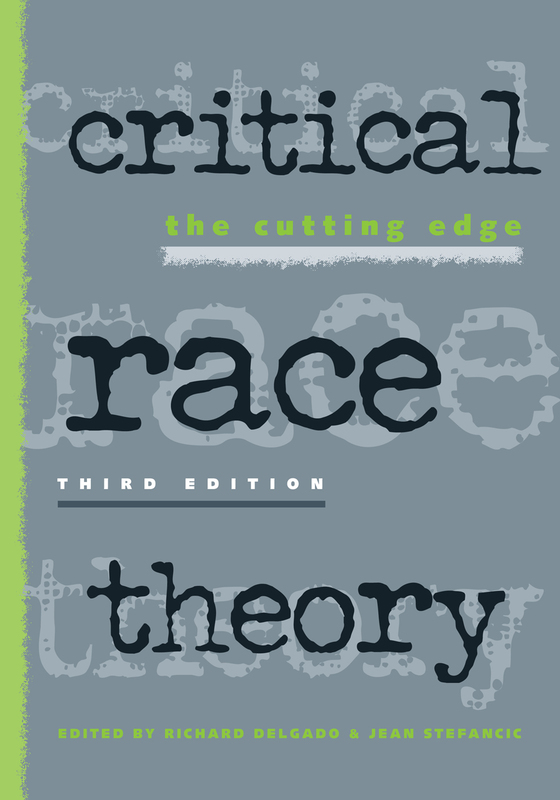 This week in North Philly Notes, Richard Delgado and Jean Stefancic, co-editors of Critical Race Theory: The Cutting Edge, Third Edition, offer some thoughts on their new collection. When we of us agreed to prepare a new edition of our reader, Critical Race Theory: The Cutting Edge, Barack Obama’s presidency had recently unleashed a flood of new writing on race and racism. On topics ranging from AIDS in the black community, to undocumented Latino immigration, to imprisonment rates and profiling of foreign-looking drivers and pedestrians, the nation was coming to terms with a burgeoning population of color, coupled with strenuous insistence from conservatives that the solution to American’s race problems lay in colorblindness and a refusal to recognize the new reality. With about 40 percent new material, this third edition is a thoroughgoing makeover. It includes new chapters on black males “on the down low,” scholarly activists who challenge harsh conditions in maquiladora factories just across the US-Mexico border, hyper-vigilant surveillance and hate crimes against Muslims, workers of color forced to act white on the job, and more. We hope our readers will enjoy Critical Race Theory: The Cutting Edge as much as we did working on it.